When running a campaign for my players, one of the things that I always aspire to achieve is honest to goodness character progression on the part of the PCs – not the levels, feats or experience points, but the fundamental shift in who the characters are at the conclusion of the adventure. As a GameMaster, it’s one of the things I use to decide if the campaign was a success or a failure. Did it change how the players viewed the characters they created at the outset? or did it merely scroll by sideways while they beat down enemies and grabbed power ups like in Super Mario Bros.? How invested the players are in portraying their characters. …and just exactly what is a “Baggins” you might ask? For me – and for the purposes of this article, a Baggins is a character that is deemed to have solid character progression. The term (if I can coin it as such) stems from the litmus test I use to evaluate character progression in my campaigns. 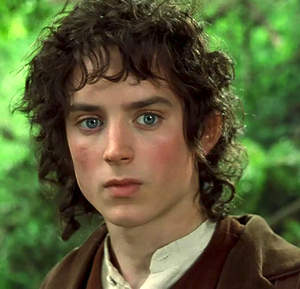 In essence, the test is as so: I look at a character and ask myself, “does this character remind me more of Frodo? or Mario?”. If the answer is Frodo, then they are a Baggins. Despite my love for Mario, he isn’t exactly a poster boy for RPGs and character development. He goes from one castle to the next, overcoming every boss and obstacle that crosses his path only to end up completely unchanged at the end of the game. Frodo on the other hand is an excellent example of a character who isn’t the same after his adventure as he was before he undertook it. So, if I make these two characters the ends of a character progression scale, I like to see the PCs end up more like Frodo, and less like Mario. A common hurdle that needs to be overcome is actually the players themselves. It can be quite easy to get focused solely on the objectives of a campaign, and forget about developing the character of one’s PC. After all, the villains aren’t going to defeat themselves, and GameMasters have more in their notes than just opportunities for self reflection. If you want to make sure you end up with Bagginses instead of Mario Brothers, sometimes, you have to give the players a nudge… or two. The Side Project – Give a player something to work on during any periods of downtime or between mission objectives. This might be a crumbling holdfast or temple that needs to be rebuilt, staffed and maintained; or an organization that the player can build up to prominence. Whatever the case, it should require lots of input from the player, interaction with NPCs, plans that need to be made and the occasional side quest. 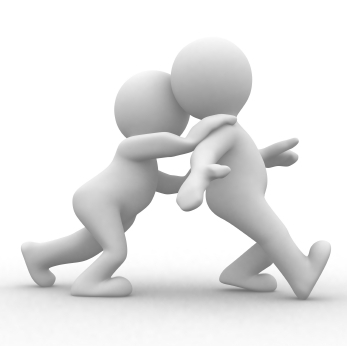 The Blindside – Force a player to cope with some unexpected event or tragedy that they can’t avoid. Maybe they lose a loved one or part of a limb; perhaps they’re going to be a parent or are elevated to some lofty new position with tons of responsibility. Regardless of what it is, NPCs they interact with should know of it, and it should come up whenever they come across someone they haven’t seen since before the event. The Milestone – Have a player reach some manner of achievement that is a cause for ceremony, celebration or reverence. This could be success in a right of passage, attaining a noteworthy rank in an organization the character is affiliated with, or anything else that causes NPCs the player knows to sit up and take notice. Make sure that the event brings up things from the character’s past, or lets others see them in a situation outside of the norm. The End of the Line – Give the party enough rope to hang itself with and kill a character, for good. Nothing shakes things up like a change in lineup. It gives the slain character’s player a new PC to build (which is often one of the times when creative juices towards a character are the highest), and it gives the rest of the group a new face to learn to trust. Obviously what I’ve listed here is only the tip of the iceberg, but the common thread is to take the player(s) being targeted and put them in a situation outside the normal scope of the game. Doing this gives them a chance to see and portray other sides of their character than just “the adventurer”, “the party leader” or whatever else they might be ordinarily. Make them get more specific about aspects of their character; make them react to experiences beyond the main plot; make them decide who they are playing, not what. The bottom line is, it takes more than merely going on an adventure to make a great character who grows over time and is remembered long after the campaign is over. For me, nothing is worse than talking about a campaign and having a player say “what did I play in that game? a rogue?”. I want them to remember the campaign not by what happened in the plot, but as the adventure that their character went on. To do that, they need to have played a Baggins. If you have any tips or strategies regarding character progression for PCs, feel free to share them in the comments below. Great article once again, Kallak. I think I employ points 1 – 4 throughout my campaign but probably not consciously and certainly never on purpose in the case of Number Four. 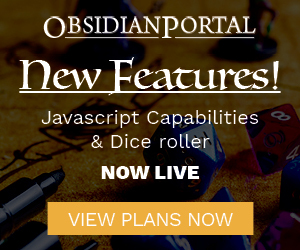 I just wanted to add that I have found OP’s Secret Player Section (I think it may only be available to Ascendants) particularly valuable in building up side projects and other character building schemes particular to the player, without muddying the waters by trying to insert it into the general game all the time. Great advice, except I think you meant “kill a character.” Killing a player would definitely be memorable, but it’s hard to run a campaign from prison. Take it from me. Whoops. Yes a character, not a player. That’s a whole different article. Will fix as soon as I get back from class.